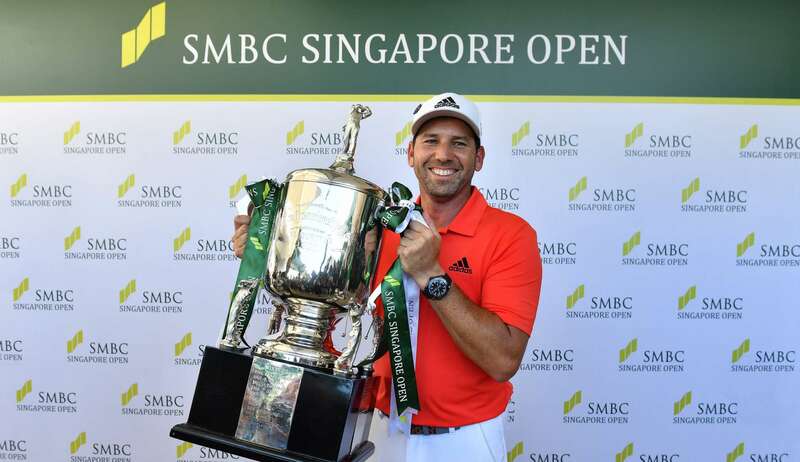 Sergio Garcia shot an exquisite final round 68 to win the prestigious SMBC Singapore Open by a comfortable five strokes on Sunday. The Masters champion and world number 10 was a single shot ahead after the third round but quickly showed his class in tough scoring conditions on the front nine of the fourth round to move clear of the field. He picked up a shot at the opening hole and turned the screw with back-to-back birdies on the par-five seventh, where he came close to holing his approach shot, and the par-three eighth, sinking a 20 footer. With no challengers emerging from the pack, Garcia parred the remaining 10 holes on the Serapong Course for victory in front of a huge gallery around the 18th green. “It is nice to start the year like this,” said Garcia, after winning his sixth title on the Asian Tour and his 33rd worldwide. “It was not easy. It might have looked easy but I still had to hit a lot of good shots and I was able to do that. He achieved that and more, the Spaniard playing 27 holes without a blemish on Sunday – after coming back early in the morning to finish the weather-delayed third round – with his seven birdies separating him the field. 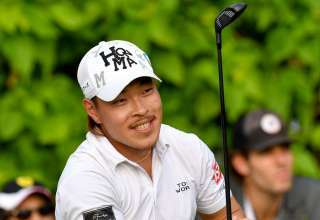 He finished the tournament on 14-under 270, five shots clear of Japan’s Satoshi Kodaira (71), the world number 52, and Shaun Norris of South Africa, who birdied three of the last six holes for a 70. 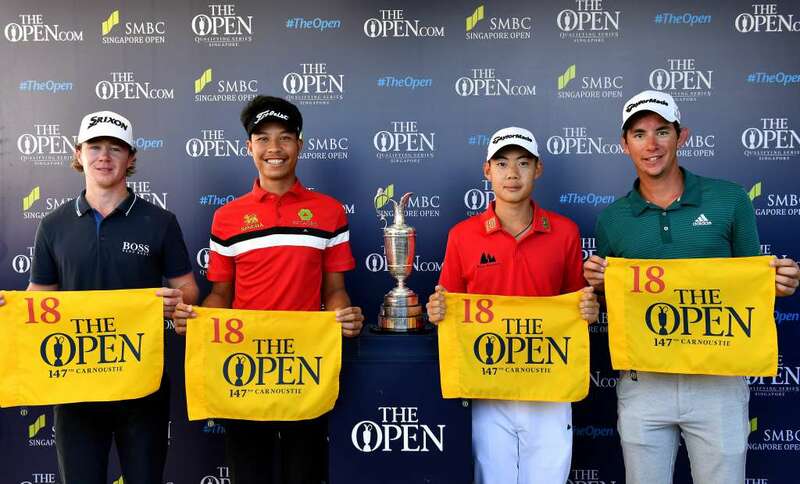 As both Norris, a winner on the Japan Tour last season, and Kodaira had already qualified for the Open Championship at Carnoustie in July, the young Thailand duo of Jazz Janewattananond and Danthai Boonma, who were joint fourth, Zimbabwe-born American Sean Crocker and Australia’s Lucas Herbert booked the four spots up for grabs. The 38 year old Garcia had a monumental 2017, with three victories including a long-awaited first Major at the Masters, and his play this week suggests another golden year in 2018. Using a new brand of clubs, Garcia played imperious golf from tee to green and would have won by an even bigger margin if his putter had not misbehaved in the second round. He finished joint 11th in the SMBC Singapore Open last year before winning the Omega Dubai Desert Classic a fortnight later. He will defend that title next week. “I love the new Callaway equipment. I love the golf ball, it is amazing, The woods are incredible and you know the irons are great. The putter, they just made me a new one, it is really, really nice,” he commented. 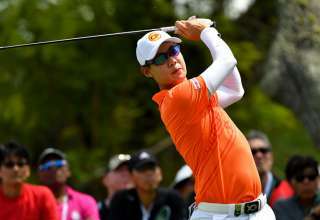 Halfway joint leader Chapchai Nirat, looking to reboot his career after losing his playing rights on both the Asian and Japan Tours last season, saw his challenge crumble with an unlucky triple bogey eight on the par-five seventh. His ball stuck up a tree off the tee and then he hit his approach into the water. The joint halfway leader carded a 77 for joint 16th spot. 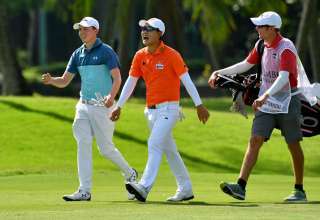 Janewattananond, the 22 year old who turned professional when he was 15 and won his first Asian Tour title at the Bangladesh Open last year, has enjoyed a great couple of months. 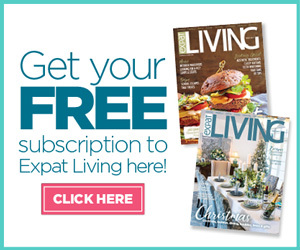 He gained his European Tour card by chipping in for eagle at the last hole of qualifying last November and he booked a spot at The Open Championship on Sunday despite bogeying the 18th hole. He followed up his third round 66 with a 71. Countryman Danthai gave himself an early birthday present before turning 22 on Tuesday by clinching a place at Carnoustie with a closing 73. Crocker made the most of an invitation to play in the SMBC Singapore Open by reserving an Open Championship spot with a final round 69 for tied sixth with Emirates Australian Open champion Cameron Davis. The 21 year old Crocker turned professional last year after an impressive amateur career. 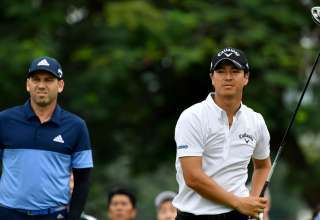 Herbert, 22, closed with a 71 to tie for eighth place with Asian Tour number one Gavin Green of Malaysia, who also shot a par 71, Miguel Tabuena of the Philippines, in with a 70, and American Berry Henson (65). Herbert snared the Open spot as he is higher ranked than Tabuena and Henson and Davis and Green are already exempt. Amateur Gregory Foo (73), a two time Singapore Open amateur champion, and countryman Choo Tze-huang (70) flew the flag for the host country by finishing tied for 16th. Jesse Yap, also an amateur, was equal 33rd after a closing 71. The US$1 million SMBC Singapore Open was the season-opening tournament on both the Asian and Japan Tours.